I've updated the schedule for the meetings through July 7. 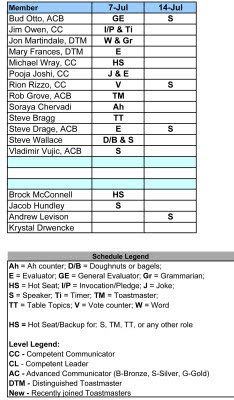 Please let the Toastmaster know if you need to make changes to your upcoming assignments. 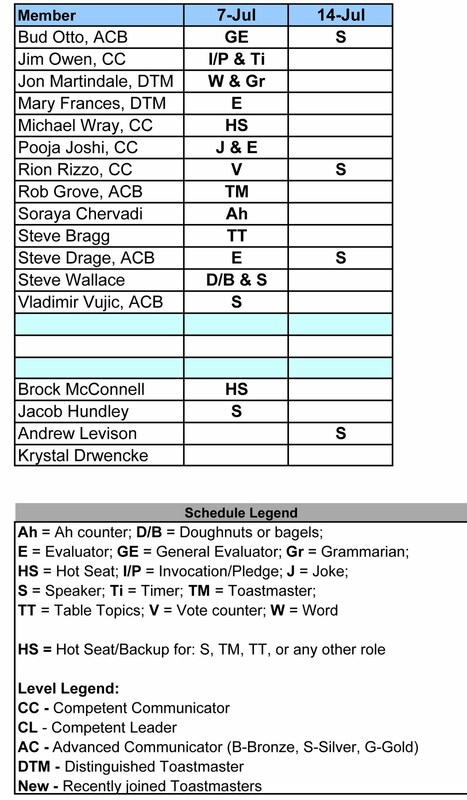 I've also started an outline for the upcoming Humorous Speech and Evaluation Contest on July 14th. We can discuss this in more detail at our next meeting.